Medicaid spending by 10 percent. Brown says he needs to make the cuts to the state Medicaid program, known as Medi-Cal, to ease his state’s severe budget woes. But advocates say cuts of that size would be devastating to California’s most vulnerable residents. The federal Centers for Medicare and Medicaid Services (CMS) — and, by extension, the White House — must choose between helping a Democratic governor who has been a leader on healthcare reform and signing off on a policy that advocates say would be devastating to people with disabilities.CMS also has to weigh the potential fallout from the decision, because giving California carte blanche to make Medicaid cuts could open the floodgates for other states to make similar requests. Brown’s request has sparked an outcry from some members of his state’s congressional delegation, with Rep. Dennis Cardoza (D-Calif.) leading the fight to protect the funding for people with intellectual and developmental disabilities. The debate comes as California seeks to plug a $26.6 billion budget gap, the worst of the 50 states. To get there, the state last month adopted a bare-bones budget for 2011-2012 that slashes Medicaid by about $1.4 billion. 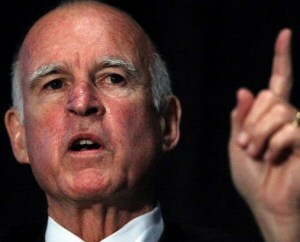 In a June 27 letter to the president, Brown urged Obama to approve the state’s request. In the letter, Brown asked the president to reject other cuts that are reportedly on the table as part of the debt-ceiling talks, including proposals to bar states from taxing Medicaid providers and cutting Medicaid reimbursements at the federal level. California needs CMS to approve the cuts because the federal government pays a portion of states’ Medicaid costs. The state made its formal State Plan Amendment request on June 30 — the same day that the more than $10 billion in extra Medicaid dollars provided to the state by the 2009 Recovery Act dried up. With the 10 percent cut, Williams added, the state isn’t trying to target any specific population, but rather aiming to protect the solvency of a Medicaid program on which more than 7.5 million people rely. The proposed cuts include a 10 percent reduction in Medicaid payments to hospitals, physicians, nursing facilities and other providers that Brown says would save $623.4 million in 2011-12. Cardoza and others are worried about the potential effect on intermediate care facilities for the mentally disabled, which rely on Medicaid for all their funding. The cuts would affect about 7,000 residents at 1,000 facilities statewide, but advocates say about 150 are likely to close over the next 18 months if the cuts go through. Jim Gomez, CEO of the nursing-home lobbying group California Association of Health Facilities, said the homes most at risk are in the San Francisco Bay Area and the Central Valley. Besides Cardoza, several other Central Valley lawmakers have facilities in their districts that could be forced to close, leaving residents with few or no options. These include House Republican Whip Kevin McCarthy, whose office did not respond to requests for comment. Gomez warned that his group, which already is suing California over a 2009 rate freeze, might expand its lawsuit to cover the 10 percent cut if CMS approves it.